TC Dental Group is made up of TC Dental Studio and Complete Dental Works. We are dedicated to providing you and your family with a quality dental service that is affordable and accessible. We are preferred providers for Bupa, Medibank Private, HCF and CBHS and all major health funds. We welcome all new patients. You can trust our qualified and experienced dental team to take good care of your smile and oral health. No matter what your dental query is. No matter what your dental needs or concerns are. We’re just a phone call away. And if you choose to contact us via our contact page, we will respond to you quickly. The TC Dental Group is here to help you and your loved ones – with the information and expertise you expect. TC Dental Group Upper Mt Gravatt is located just opposite Westfield Garden City Shopping Centre, Upper Mt Gravatt, at 664 Kessels Road. TC Dental Group Upper Mt Gravatt provides easy access with onsite parking. We have been a family-oriented dental clinic since 2001. Unique to our clinic is our onsite dental laboratory. Our onsite ceramists specialize in fabricating all types of crowns. To suit your busy schedule, we open 6 days including Saturday. Evening appointments are also available. TC Dental Group Annerley is made up of a team of dentist and hygienists. We are a family-oriented dental clinic providing gentle dental services for you and your family. Located at 627 Ipswich Road, Annerley – our cozy clinic has ample onsite-parking at a convenient location. 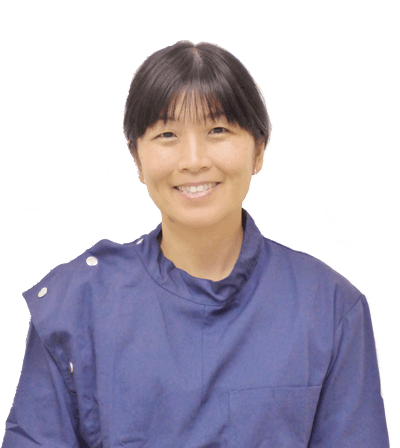 Dr Linda Chen graduated with a Bachelor of Dentistry from University of Queensland in 2000. Along with her partner, Dr Huy Tran, she has built TC Dental Group into the community focused and family-orientated dental practice it is today. With years of experience, Dr Chen ensures that the TC Dental team understands and services all you and your family’s dental needs and concerns – in the most ethical and professional manner. As a mother herself, Dr Chen understands a parents’ concern for their kids’ dental health. She assures every child is well-looked after at TC Dental. And as a parent, you will be well-informed – before, during and after your child’s treatment. Dr Chen also has a special interest in providing you with the latest advances in dental treatments for crowns, bridges, root canal therapy, Invisalign and cosmetic dentistry. In her spare time, Dr Chen enjoys spending time with her family, as well as singing. She’s a proud member of the renowned symphonic choir – the Brisbane Chorale, which regularly performs with the Queensland Symphony Orchestra. Dr Chen has also obtained an Associate Diploma in Music ( AMusA) in piano. In her hands, your oral health will be well looked after, and you will look and feel your best – in your personal and professional life. Dr. Huy Tran graduated with a Bachelor of Dental Science from the University of Qld in 2000. 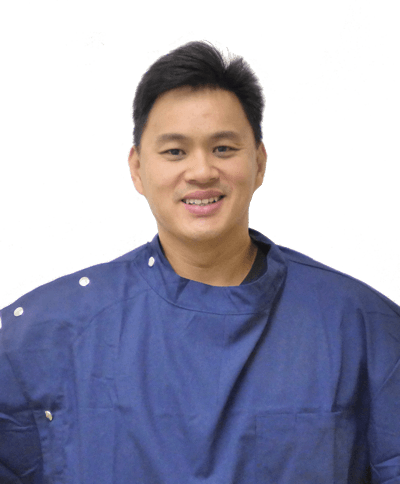 Following his graduation, Dr Tran has worked at various locations – Toowoomba, Ipswich, and finally at Palmdale Dental Centre before taking over ownership of the practice. Dr. Tran is a co-founder of TC Dental group. More recently, he has acquired Complete Dental Works as part of the TC Dental Group. Dr Tran understands the importance of active listening to patients to understand their needs. He enjoys seeing patients of all ages. As every case is different, Dr Tran tailors a customised treatment plan that best meets the needs of each one of his new patients. He explains each treatment procedure in detail, and answers any questions his patients might have, so that they can make informed decisions regarding their dental treatment. Dr Tran focuses on educating his patients about long-term oral health care, and helping them to smile with confidence. Dr. Tran keeps track of all aspects of modern dentistry. He has a passionate interest in the latest developments in preventative and restorative dentistry, as well as oral surgery. By matching up-to-date industry knowledge with experience, he is able to provide you with the highest-quality dental treatments available. When he is not practising dentistry, Dr Tran enjoys spending time with his lovely wife, Dr Linda Chen, and their children. Dr. Yulian Wei was recently selected by our principal dentist, Dr Linda Chen, to join the TC Dental Group team. Dr. Wei graduated with a Bachelor of Dental Science from Griffith University. During her time at university, she received the Griffith Award for Academic Excellence. 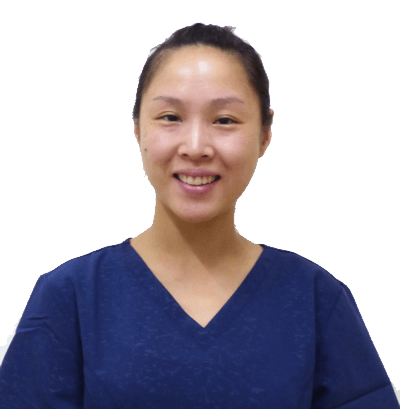 Since her graduation, she has gained several years of experience from working at various areas in Brisbane, including Upper Mt Gravatt, Mt Gravatt and Mt Cotton. 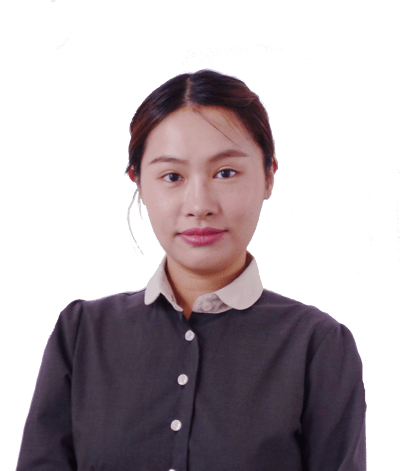 The main reason Dr. Chen has picked Yulian to join TC Dental Group, is because her patient communication skills are excellent. She is an active listener, gentle in nature, and can provide special dental care for patients who suffer from dental anxiety. She has a relaxed, personalised and caring approach to dental treatment. She’s particularly great with children, and enjoys teaching them oral hygiene skills in a positive and inspiring way. Yulian has several years of experience in all aspect of dentistry, including general dentistry, cosmetic dentistry, oral surgery, endodontics and prosthetic dentistry. She is also up-to-date with her training in modern dentistry, through regular attendance of dental continuing education courses. In her downtime, she enjoys travelling and regular exercising. She also loves spending time with her pet Maltese Shih Tzu, and often takes her for a walk. Elma is an accomplished practice manager of TC Dental Group. After completion of her high school education in 1997, she started her dental assistant career by working full time in a busy private practice. During her employment in those 3 years, she completed her Certificate III in Dental Assisting and developed practical clerical and clinical skills. Subsequently she was promoted to front desk coordinator and then on to a Practice Manager position, while studying and obtaining her Certificate IV of Practice Management from University of New England externally. 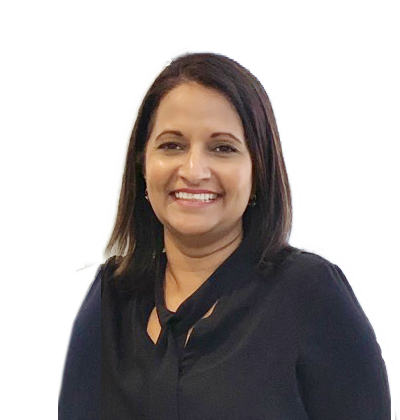 Elma’s primary role at TC Dental Group is to ensure that all interactions between the front desk, staff, clinicians, patients and outside services run as smoothly as possible. She firmly believes that it is important to keep our dental office organised and operating on schedule, in order to deliver excellent customer service for our patients at all times. As a Practice Manager, she encourages that our practice objective are achieved, and daily tasks are preformed efficiently and effectively. 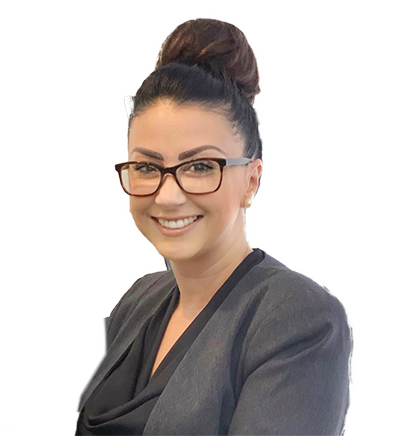 Elma’s passionate in looking after our patients, to provide excellent customer service by making sure our clients have an enjoyable experience with TC Dental Group. She find it truly rewarding to see everyone leave with smiles on their faces. Elma is a mother of two beautiful children. She enjoys reading and spending time with her family in her free time. Pingla became part of TC and CDW Dental Practice in 2017 as a Senior Dental Administrator. She holds Cert 3 in dental nursing and has years of experience in dentistry. Pingla’s main role is front desk, making appointments and settling accounts but She is practice’s versatile who you may also see assisting. She believes in team empowerment. Pingla loves a good laugh which makes patients at ease and comfortable. Her position entails meeting new people every day. Apart from work, Pingla’s family is her priority, She loves spending time with, and in her spare time, she also enjoys watching movies and going for a long walk on the beach. She considers myself very upbeat. Monica has been working for TC Dental Group for three years. Her main role is to assist our dentists throughout the day. Monica enjoys working in the surgery, as She finds it stimulating to meet new people and take on different challenges each day. She loves helping our patients to achieve their dental goals while ensuring that they have a relaxing, comfortable and positive experience when they come to visit us. Monica has previously worked in hospitality, and as a skilled make-up artist. In her spare time, Monica enjoys researching different make-up and hair styling techniques, as She finds it interesting and relaxing.